The updated iOSRescuer is regarded as an innovative data recovery application that is more specialized in recovering lost, deleted, formatted or corrupted data for iPad, iPhone and iPod by extracting iTunes backup files and iCloud backup files, and even directly recover from iDevices now. Retrieve from iDevices directly without iTunes backup. 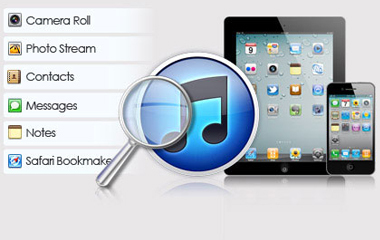 Recover 19+ types of lost data from iPad, iPhone & iPod. 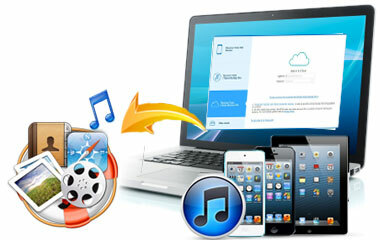 Rebuild lost data from iTunes backup or iCloud backup for your iOS device. Recover lost iOS data from various scenarious like device loss, jailbreak, system problem, factory reset, etc.. Supports the latest iPhone X and iPad Pro/Air. We upgrade iOSRescuer to lift it beyond what we thought to be our limitations on its predecessor - Data Recovery for iPhone iPad iPod, which can only recover lost iDevices' data from iTunes backup. 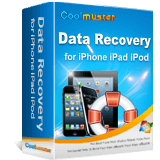 Coolmuster iOSRescuer is fully capable of recovering lost iOS data without iTunes backup. Supported Devices: Supports all version of iDevices, including iPhone X/8/8 Plus/7 Plus/7/6/6 Plus/5S/5C/5/4S/4/3GS, iPad Pro/Air/mini, iPad with Retina display, The new iPad, iPad 2/1 and iPod touch/Shuffle/Nano/Classic. Data loss scenario: Recover lost iOS data from various scenarios, such as device loss, accidental deletion, water damage, busted parts, jailbreak, iOS upgrade, system problem, forgot passcode, factory reset, device stuck and etc..
Recoverable data: Recover 19 types of data directly from iPad, iPhone and iPod, including call history, contacts, messages, notes, Safari, calendars, voice memos, photos and more. Every time you sync your iPad, iPhone or iPod with iTunes, it will keep a backup file for all the files on your device automatically. 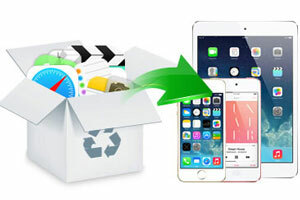 If you don't have your iOS device at hand and fortunately you have synced them to iTunes before, iOSRescuer allows you to recover deleted or lost data from the iTunes backup record for your iPad, iPhone or iPod without connecting your iDevice. 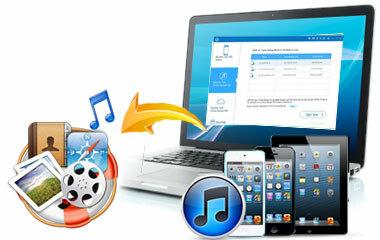 Recover deleted data: If you deleted some files from your device but your just remember that you have synced the device to iTunes before, congratulations that there is still a big chance to recover the deleted files from the iTunes backup, as long as you haven't updated the iTunes backup after you delete the data. Data loss circumstances: Get your iOS device lost or stolen, mistakenly deleted data on your device; your device is crashed or damaged; the device is inaccessible due to a forgotten password; failure in iOS upgrading; iDevice restored to factory settings, system problem, device stuck, jailbroken or refurbished. 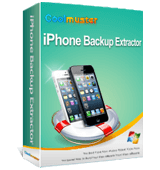 The iOSRescuer, also regard as iCloud backup extractor, can download and restore the iCloud backup files so that you can get back your lost or deleted files from iCloud backup. Also you are able to recover the latest HEIC photos from iCloud, preview HEIC photos and convert HEIC to JPEG format when you export HEIC photos to your Windows and Mac computer for easy viewing. Recover lost data: You can selectively preview and restore data from iCloud backup file individually or in bulk without replacing the existing iOS data. And it can recover up to 19 types of data from iCloud, including contacts, text messages, iMessages, photos, videos, voicemail, voice memo, notes, calendars, WhatsApp messages and other data from iCloud backup files. Data loss situation: Get your lost data back when your iOS device is locked for lost/forgotten password, dropped into water, gets damaged/smashed/broken/lost/stolen, has system crash/iOS upgrade failure/jailbreak failure/device stuck, gets data lost/deleted incautiously and more. iOSRescuer will perform a quick and deep scan on your device or iTunes backup and offers a clear display of the scanning results. All contained files will be categorized in different folders and built-in preview function enables you to preview them before recovery so that you can locate and mark the exact files you want to recover. Both of the deleted files and existing ones are visible. Also you can view the deleted items and existing ones seperately. Photos and videos in "Camera Roll" can be previewed in thumbnails. Have a view of your outgoing and incoming call history and the detailed content of text messages and SMS conversations can also be read clearly. You also can get the specific details of contacts, such as name, company, phone number, email, etc. The recovered contacts, along with the contact person data will be saved as readable and printable HTML, VCF, CSV file on the computer. The recovered text messages can be saved in HTML or CSV format while message attachments can be saved in JPG, JPEG, TIFF, GIF, PNG, BMP, MOV, M4V, MP4. The recovered app document can be saved in TXT, DOC, DOCX, XLS, XLSX, PDF format while WhatsApp attachments can be saved in JPG, JPEG, TIFF, GIF, PNG, BMP, MOV, M4V, MP4, AAC, VCF. 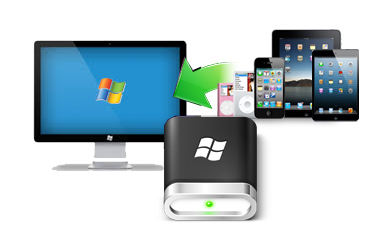 Best tool for you to extract the entire iPhone backup from iTunes on Windows or restore specific iPhone files easily and quickly. Lost data from your iDevices? Don't worry. Just try this app to find back lost, deleted or formatted data from iPhone, iPad and iPod.